The latest innovation in the continuing evolution and development of stand-up pour spout bags pouches and packaging technology is the integration of twist cap closures into flexible packages. Aluminum bags with caps. 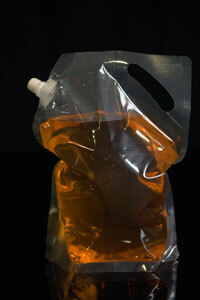 BEE Packaging offers high resolution printed twist cap pouches for early stage product testing and market development as well as high volume (250,000 + per shipment) production ready packages. A number of fitments are available, including 9, 16 and 23mm (approximately 3/8, 5/8 and 1.0 inch I.D. respectively.) We have the capability to support customer investment in proprietary closures and the molds required to produce them. We are especially proud of our 1 gallon Twist Cap bag with an almost 1" in diameter reclosable screw cap. Such closures can be combined with high resolution photograph quality printing on a wide range of substrates, including foil, mylar, nylon, polypropylene and more. Heavy duty stand-up pouches with pour spouts. Sturdy bottom gusset allows pouch to stand straight. Wide face is perfect for graphics and displays. These pouches have an opening at the top for easy filling and are heat sealable (unless specified they are NOT filled through the spout.) Spouted bags have positive spout closures and they are puncture resistant, odor proof and moisture proof. Environmentally conscientious, perfect for powders, liquids, gels and granular products. 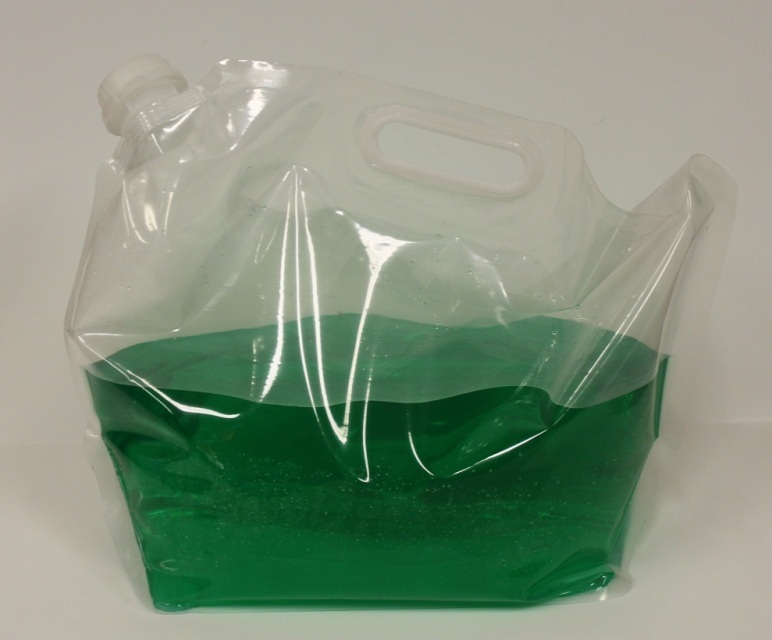 Minimum order for custom printed liquid spout bags is 50,000 quantity. Send your size request along with your completed camera ready artwork for pricing using our contact us form. Lead times generally 8-12 weeks after art approval for custom printing. Spout bags twist cap bags pour top bag with barrier protection. 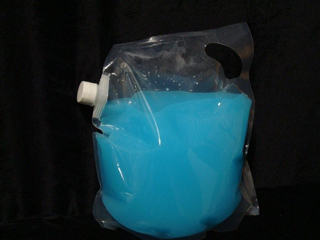 Pouches for food use stand up pour bags, food bags, liquid bags, water bag, liquid storage, water storage, bags to hold liquids. Heavy duty stand-up pouches with twist cap tops. Sturdy bottom gusset allows pouch to stand straight. Wide face is perfect for label graphics and displays. These pouches have top opening at the top for easy filling and are heat sealable. Twist caps have a positive spout closure and they are puncture resistant, odor proof and moisture proof. Environmentally conscientious the twisting cap bags are perfect for powders, liquids, gels and granular products. 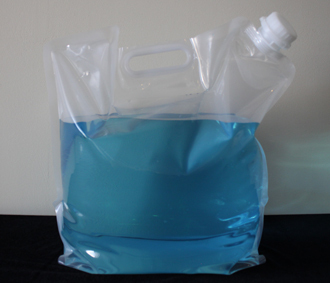 For immediate product testing or low volume requirements, we offer unprinted bags on different closure/pouch styles. Applied heat for sealing barrier spout bags available in hand held models and table top rotary heat sealing. Stainless steel heat sealers also available for food applications.